Digital Blueprinting - Print-O-Stat, Inc.
From single copies to complete bid sets, we use the most advanced technology to make your large format printing and scanning needs more affordable—at the quality you deserve! With eleven production locations, experienced personnel, and a reliable delivery service, we make it convenient for you to get your job done on time. Print-O-Stat has been the leader in blueprinting for 65 years. Using the most advanced technology available, we can scan your originals or produce copies for your electronic files and provide reproduction of Architectural, Engineering and Construction drawings into a variety of media—with print widths up to 44” by any manageable length. Did you know? Printing in color has never more affordable! 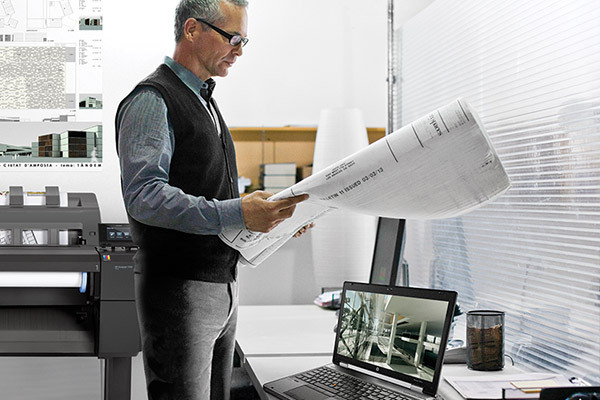 All our production facilities acquire the most advanced printers on the market to offer you the lowest cost of color. By adding color elements, it provides clarity and meaning to the information contained in a drawing, map, rendering or diagram. In addition, color enables the presentation of 3D-data on a two dimensional paper to highlight critical areas or to indicate changes.